1.) 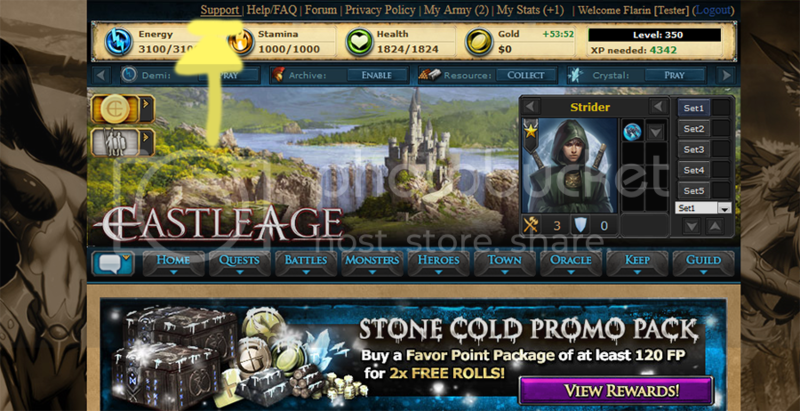 Click Report/Contact, which can be found on the right side of the game page. 2.) 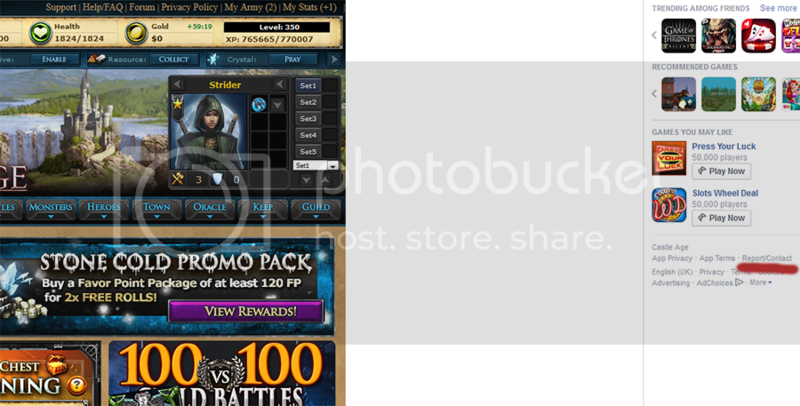 A popup will appear. 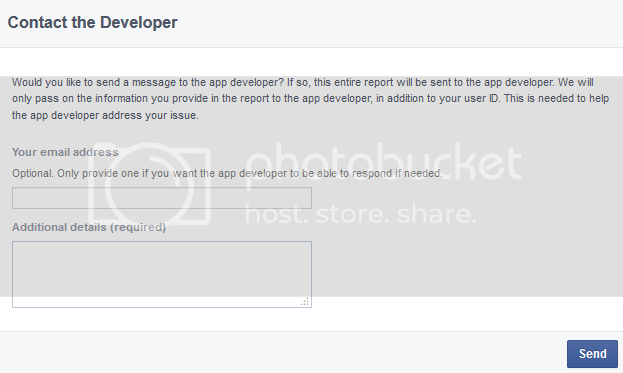 Select "I want to send my own message to the developer" and then click Continue. 3.) 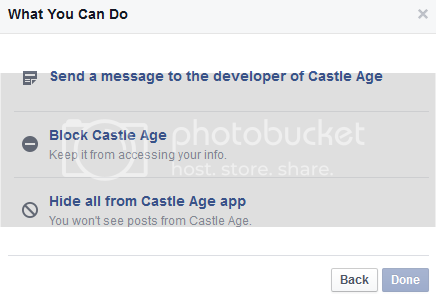 Click "Send a message to the developer of Castle Age." 4.) Write your email address (we will not be able to reply back if you do not), explain your issue and click send. 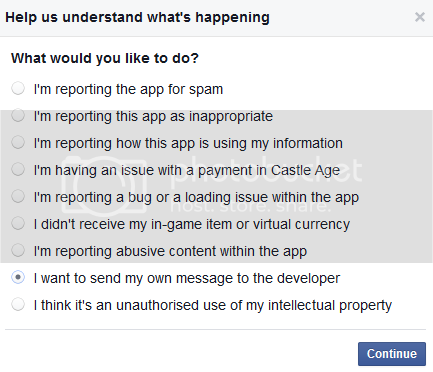 *Note*: Some players have reported an issue in which Facebook thinks you have already submitted an email and will not allow you to create a new one. If you are also experiencing this issue try clearing your cache on Facebook and try again. If this does not work try one of the other following ways. 1.) 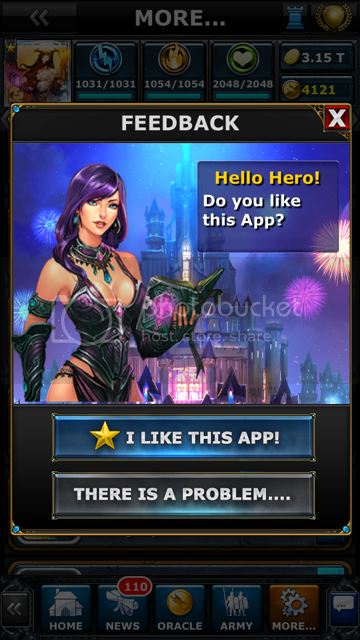 Click support on the top left side of the page. 2.) 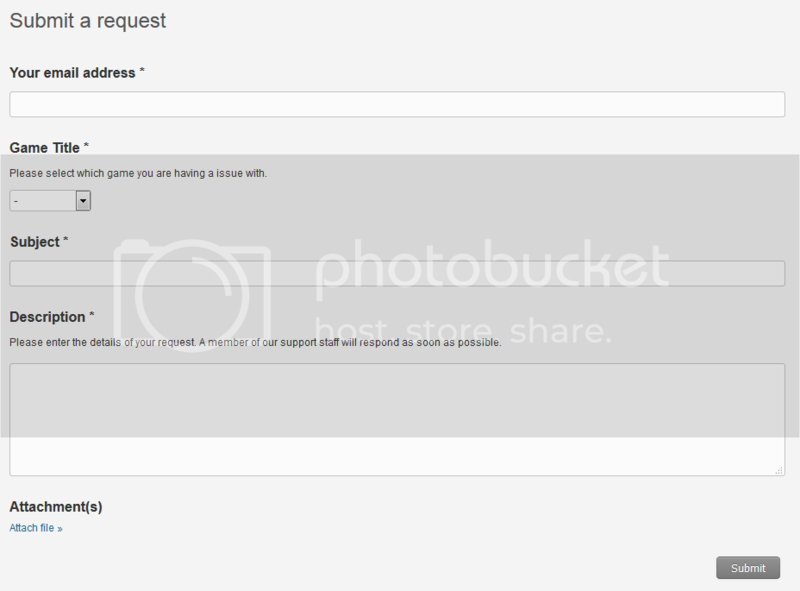 Fill out the form on Zendesk. You should receive a confirmation email shortly after. 1.) 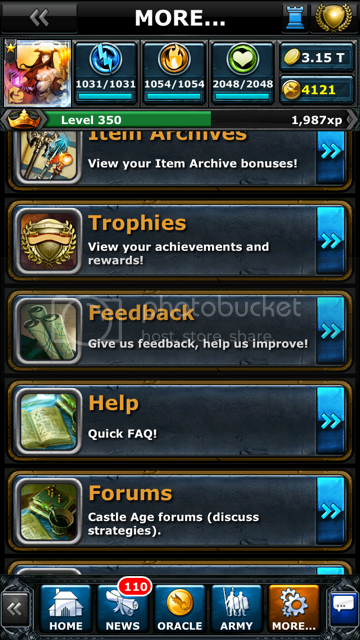 Tap the "MORE" button on the bottom right and then tap "Feedback." 2.) Tap "There is a problem." 3.) Your email will open up. From there, explain your issue and send the email.